What’s the difference between sawing and flame cutting? At James Dunkerley Steel we offer sawing and flame cutting of steel products so that you can take delivery of steel sections already cut to length – so what’s the difference between sawing and flame cutting, and how do you decide which method to use? Flame cutting uses an oxygen-fuelled torch to cut through sheet steel at very high temperatures, making for a very fast and efficient way to cut through the metal. You may hear other names used for flame cutting, for example oxy gas cutting or oxyacetylene cutting, and the same method can melt the join between multiple steel sections to create a weld. It’s important to note that the burning in our flame cutting is carried out in the presence of a pure oxygen jet, which significantly increases the temperatures involved. Without this, it is still possible to burn steel just using the ambient air in the room and a normally fuelled torch, but the presence of pure oxygen make the process much faster and more efficient. 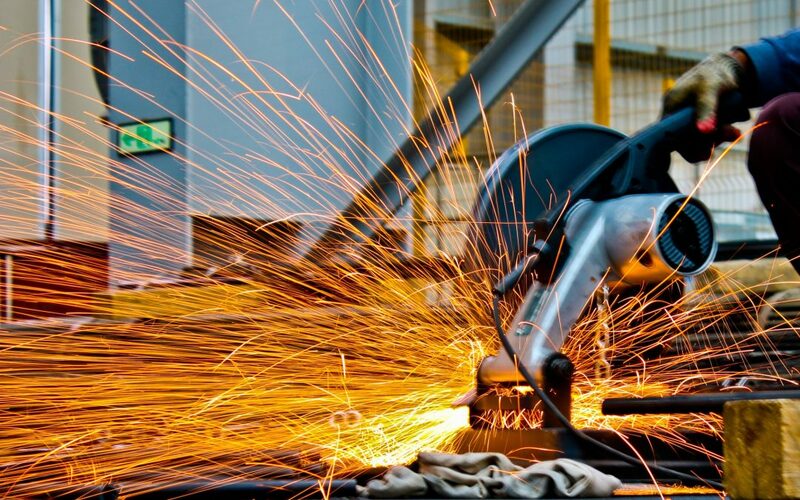 There’s no secret to sawing steel – it is exactly what it sounds like, using a mechanical saw to cut through the metal as a way to cut steel pipes and tubes, and other shaped steel sections, to the desired length. Sawing can actually be the better option, especially when working with small steel sections, for example, smaller diameter steel pipes and tubes, or where a very precise result is needed. By sawing the steel, it’s possible to be much more precise about exactly where the cut is made, and we will tend to use this method if the final dimensions need to be exact. Should I use sawing or flame cutting? If you’re ordering from James Dunkerley Steel, you don’t need to answer this question yourself, as we offer both sawing and flame cutting in equal measure. For more precise orders we may tend to use sawing, whereas for quick turnaround we might opt for flame cutting, but generally speaking, you can leave it to our team to decide on the best method for what you need from us – so you don’t need to worry about it. Just get in touch with us, we’ll do the rest.